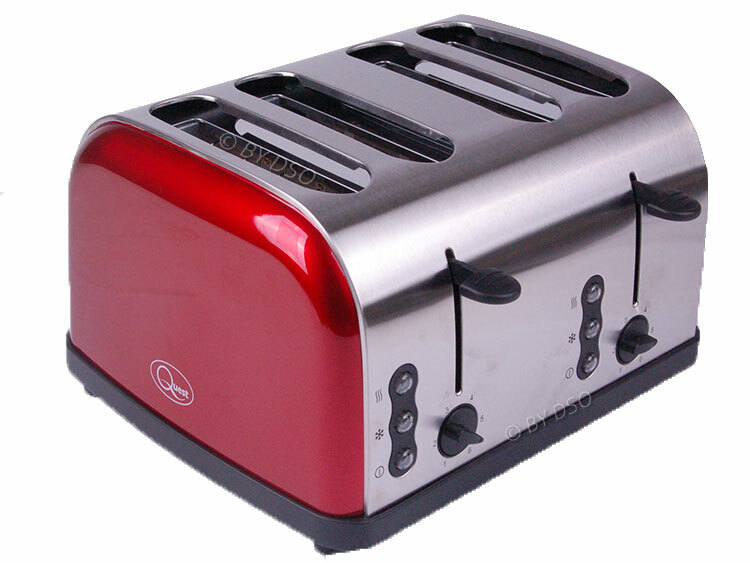 The 4 slice classic toaster is a design that will be equally at home in modern or contemporary kitchens. Its classic, eye-catching quality finish is guaranteed to suit your kitchen. Designed to make the perfect slice of toast, while being simple yet eye-catching at the same time. Its variable browning control will ensure that your toast has the correct degree of browning every time and, for convenience, the Quest 4-slice toaster includes a frozen bread setting designed to take the guesswork out of toasting frozen bread. It will also reheat unbuttered toast and, should you want to stop toasting, simply press the cancel button. Cable Length: 0.8 m Approx.